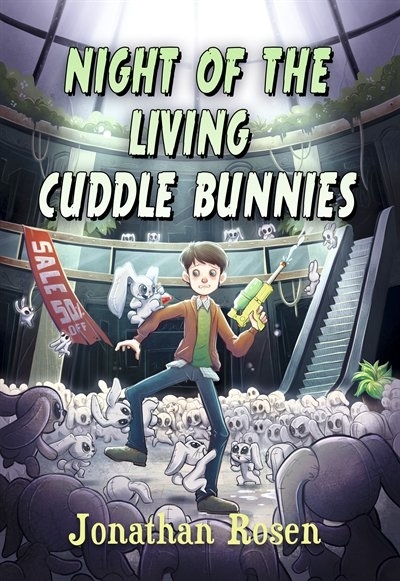 I received a copy of Night of the Living Cuddle Bunnies from Sky Pony Press to review on my blog. What would you do if your favorite toy came to life? In Night of the Living Cuddle Bunnies, it really happens. A 12 year old boy named Devin Dexter and his cousin, Tommy, have discovered something odd. They think that Devin's new neighbor, Herb, is a warlock! They try all sorts of ideas to prove it, but nevertheless, they fail. When the brand new toy, the Cuddle Bunny, comes to life, Devin and Tommy are even more convinced that Herb is behind it all. But no one will believe them! It's up to Devin and Tommy to stop Herb and prevent the Cuddle Bunnies from taking over the city. I thought this was a really good book and one of the best books I've read in quite awhile. I like how Devin thinks that Tommy is annoying, but that they must join forces and work together to defeat the Cuddle Bunnies. I also love how the Cuddle Bunny toy is super cute, so no one expects them to turn evil. Everyone thinks that Devin and Tommy imagining things. 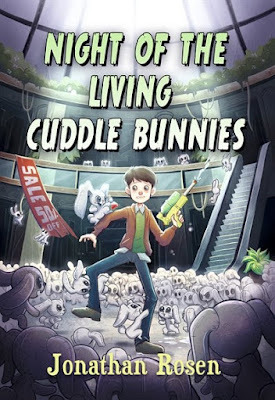 Kids who like mystery books will definitely enjoy Night of the Living Cuddle Bunnies. I think this would be a great book for Halloween time, and I'm really glad that Sky Pony Press picked my blog to review it.